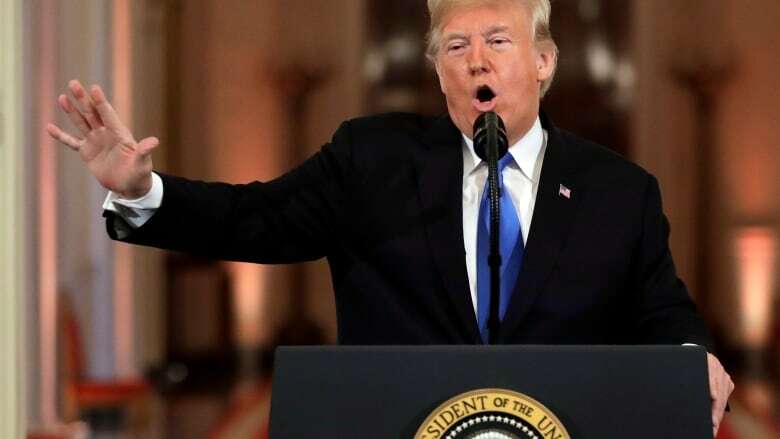 U.S. President Donald Trump is warning House Democrats against spending the remaining years of his presidency investigating him and the administration. At a post-midterms news conference Wednesday, Trump declared that Republicans will respond in kind if House Democrats flood his administration with subpoenas to seek his tax returns and investigate his business dealings, his cabinet's conduct and his campaign's ties to Russia. He added that Democrats have "nothing, zero" on him. "They can play that game, but we can play it better. Because we have a thing called the United States Senate," Trump said. "If that happens, then we're going to do the same thing, and government would come to a halt, and we're going to blame them." The warning came minutes after Trump praised Democratic House leader Nancy Pelosi for her role in the Democrats' successes yesterday and said he hoped the two parties could work together on a number of issues, including economic growth, infrastructure, trade, and lowering cost of prescription drugs. 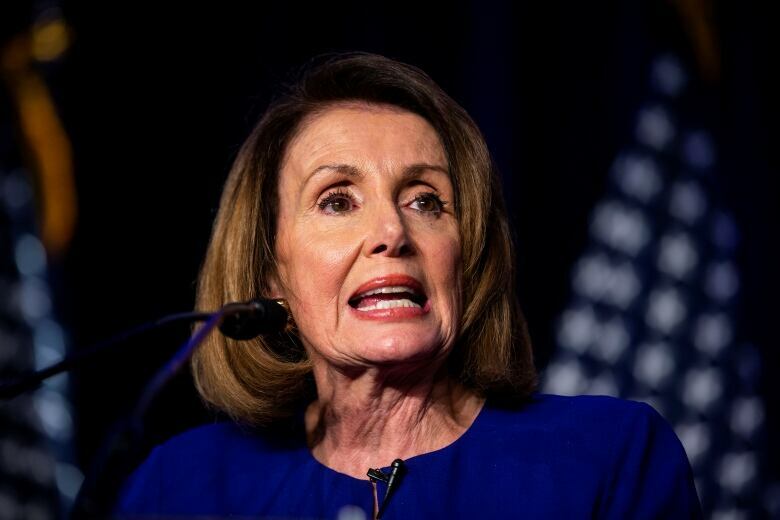 In a news conference shortly after Trump spoke, Pelosi said Democrats will have a "responsibility for oversight" when they take charge in the House in January, but she said committee requests for documents or hearings won't be "scattershot." Recreational pot, tampon tax exemption among state ballot measures approved in U.S.
During his almost 90-minute session with reporters, Trump sidestepped questions about possible staffing changes in his West Wing or cabinet — including the fate of embattled Attorney General Jeff Sessions — but hinted that moves could be coming soon. A little over an hour later, Trump tweeted that Sessions was gone. Sessions's resignation came after months of personal insults and criticisms from Trump over his recusal from the investigation into potential coordination between Russia and the Trump campaign. Sessions's chief of staff Matt Whitaker will become the new acting attorney general. The president repeatedly became irritated while taking questions from the media, insulting several reporters by name. Trump got particularly angry at CNN's Jim Acosta, when the journalist asked Trump why he was calling the caravan of migrants an "invasion." When Acosta tried to follow up with another question, Trump said, "That's enough!" and a White House aide unsuccessfully tried to grab the microphone from Acosta. Later Wednesday evening, White House press secretary Sarah Sanders released a statement saying Acosta's press pass was suspended. She accused Acosta of "placing his hands on a young woman just trying to do her job as a White House intern," calling it "absolutely unacceptable." Trump also ordered some reporters to sit down and he deemed one inquiry "racist." Trump faces the prospect, starting early next year, of endless investigations after Democrats formally take control of the House, along with stymied policy efforts and fresh questions about the resilience of his unorthodox political coalition. Still, he celebrated Republicans' success in retaining the Senate. "I thought it was very close to complete victory," he said. Trump was also asked about whether he has "repaired" his relationship with Prime Minister Justin Trudeau since the U.S., Canada and Mexico reached a new trade deal. "Yes, I have." he said. "We have a very good relationship." The president telephoned Pelosi Tuesday night, a conversation that her office said included congratulations and a nod to her pitch for bipartisanship. He said today she deserves to be House speaker. Trump's scorched-earth campaigning came to define the 2018 campaign. In the final days, he sought to motivate supporters with the battle over the confirmation of Supreme Court Justice Brett Kavanaugh. He said today that voters rebuked Senate Democrats over how they treated Kavanaugh during his confirmation hearings. 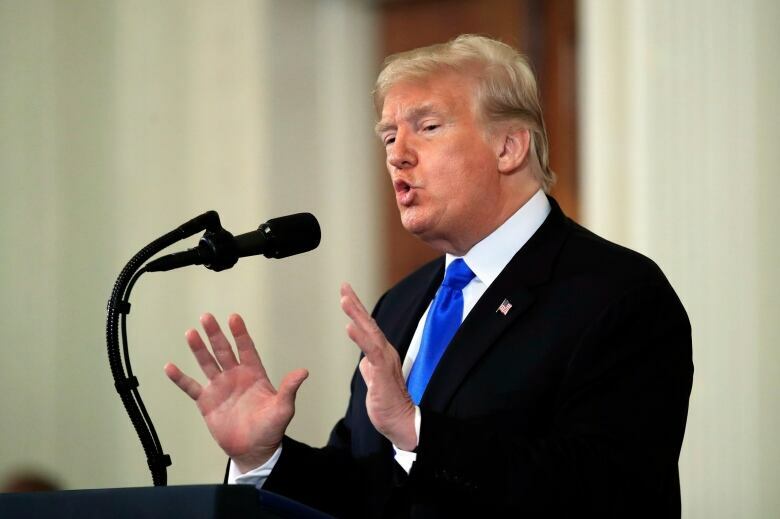 His approach troubled many Republicans seeking to appeal to moderate voters in suburban House districts, but Trump prioritized base voters in the deep-red states that could determine the fate of the Senate.